If you have effective bunding around your oil tanks it will not only capture oil but also rainwater. Any water contained within the bund will reduce the bund’s storage capacity and could reduce the capacity below legislative requirements. We can supply, install and maintain automatic bund dewatering devices. The device sits inside a specially constructed sump and works continuously and automatically 24/7. The system discriminates between oil and water to within 5mg/l (5 parts per million) and pumps out only the water leaving the oil behind. You may require authorisation or a permit from the regulator (Environmental or sewerage undertaker) depending on where the discharge from the bund is directed. We have experience in liaising with the regulators and completing permit applications to ensure any installs will be legally compliant. Removing water from a bund manually can pose operational problems for site personnel as any "waste contaminated with oil is classed as hazardous waste unless you can show there is under 0.1% oil." (GPP2). Ensuring waste removed is not classed as hazardous can be a very difficult and time consuming process. We can install the system as part of a new bund we are constructing, or can retrofit the system into an existing bund. Retrofitting the system will include installing a sump into the bund and running cabling for the pump. The robust, all stainless steel, pump and sensor unit is located in the sump and monitors the different liquid levels. 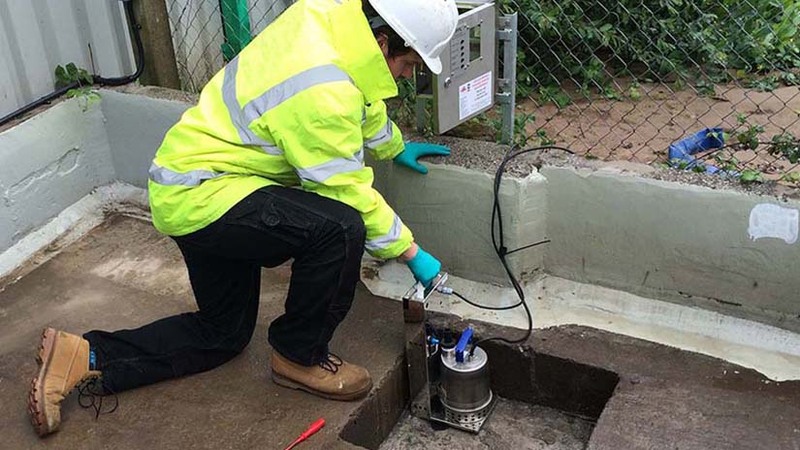 The control unit activates the pump as required to remove only clean water to the foul sewer or interceptor (depending on site circumstances). The use of the automatic bund dewatering system removes the need for regular emptying of the bund by waste contractors thus reducing your costs, environmental impact and carbon footprint. It is ideal for unmanned or remote sites e.g. electricity substations where installing a bund dewatering device would negate the need for regular maintenance visits. "If rain water has collected in your bund, it will reduce the amount of oil it can contain. If it’s necessary to remove accumulated rainwater, we recommend you do this with a manually operated pump or by bailing from the sump. 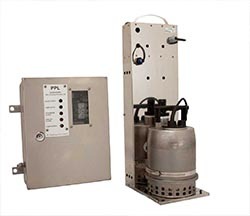 In remote locations, you could use automatic systems that can distinguish between the oil and water in the bund. 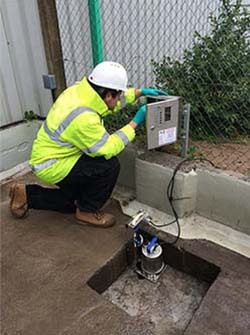 If you install one of these systems, you need to contact us for advice on where you can dispose of the discharge and if you need a permit or authorisation." In Northern Ireland, Wales and England, waste contaminated with oil is classed as hazardous waste unless you can show there is under 0.1% oil."